Born in 1964, Vicka is the oldest of the visionaries. Her prayer mission from Our Lady is to pray for the sick. 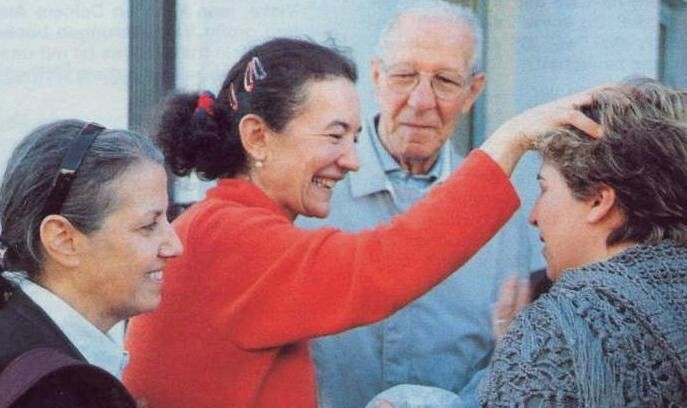 She has been the visionary most attached to Medjugorje, which she only rarely leaves, and she continues to receive pilgrims every day. Vicka prays with them and for them, and tells the message of Our Lady very simply and powerfully. She is known to have suffered a variety of serious, but never fully diagnosed, illnesses which seem to have a penitential purpose. Recently married, she and her husband Mario have a daughter born in January 2003. Our Lady has so far confided nine secrets to her.